Esports News: The winner of the 2017 WCS Global Finals was something of an upset, albeit not a totally unexpected one. The highly experienced and higher-ranked player soO was defeated in the Finals by Rogue. The Jin Air Green Wings star got to take home an impressive $280,000 for winning this prestigious event, as well as the honour of being crowned the global champion of the year. In this article, we’ll be taking a closer look at the more prominent players in the tournament. The overall champion Rogue – formerly known as Savage or Ryul2 – made his StarCraft debut in 2012, although he achieved little initial success, not having a significant impact on the scene until 2014. The Zerg player participated in Proleague 2012-2013 Season 1 with Jin Air Green Wings, but ended with a disappointing win-loss ratio of 8-17. The following season delivered some good news. He featured in the 2013 WCS Season 3 Korea GSL: Challenger League and came inside the top 12, earning a share of his first Premier prize pool. However, he followed this up with a poor performance at the 2014 Global StarCraft II League Season 1: Code A and was consequently knocked out of GSL Season 1. After this, though, he began to remedy his past failings. He participated in GSL Seasons 2 and 3: Code S and fared quite a bit better, although he didn’t take home a prize on either occasion. His best finish that year was 3rd at the MSI Beat IT 2014 Premier event in the November. Throughout 2015, he was noted for his consistently improving plays. He earned a reputation for adopting unorthodox strategies as he slowly rose to prominence, securing a number of 3rd-4th and 5-8th place finishes at Premier and Major events. He won his first Major – the Ting Open Season 1 – in March 2016 but it was in 2017 when he really delivered. He placed 1st in two Premiers earlier in the year, defeating veteran player herO in the Finals of both the IEM Season XII Shanghai and the 2017 AfreecaTV GSL Super Tournament #2. And after defeating soO in the Finals of the World Championship, he has now cemented his position as a dominant figure on the scene, with the consistency of his plays aided by his unusual strategies making him an extremely dangerous player to face. In the decisive World Championship clash, for the most part Rogue and soO were trading matches back and forth. However, Rogue saw a chance to make one of his unusual plays in the sixth match and this clinched the tournament for him with a 4-2 success. soO had an advantage in terms of Broodlords and Infestors, but Rogue invested in a large, powerful group of them. Despite soO seemingly having the upper hand, Rogue then launched an unexpected, expertly-timed push with near-perfect Fungal Growths to shut down his opponent’s Corrupters. Although soO withstood the pressure for a while, after such a catastrophic setback, Rogue was able to keep up the pressure until he forced the GG. soO made his debut earlier than Rogue, with his first professional matches taking place in 2009 as an aspiring Brood War pro. Similar to Rogue, however, his initial performances were not particularly impressive. Switching to StarCraft, he began to attract interest in 2012 when he won his first Major tournament, the 2012 MLG vs Proleague Invitational, earning himself an impressive $10,000. From that point on, he became a significant player in the StarCraft competitive scene, with an impressive number of records to his name. He has advanced to the finals of each and every GSL, defeating some of the greatest StarCraft players on the way. He has appeared in more GSL matches than any other player, and he was the first player to make three consecutive Code S finals in GSL Season 2. However, over his competitive career, he has earned the nickname of ‘Kong’ for his tendency to finish in 2nd place, including six times in GSL Finals. It seems that epithet is well-deserved, as he lost in the Finals here against Rogue, much to the dismay of his fans. His play is extremely consistent, but some argue it is too orthodox to overcome Rogue’s unusual plays and strategies. There were two other players who performed well at this year’s WCS – TY, another Korean, and SpeCial, the highest-placing non-Korean in the tournament. They finished 3rd-4th. TY earned his reputation by being the youngest pro-gamer in StarCraft history, beginning his career at the tender age of 12. Now 23, he has a considerable amount of experience as a result, and was expected to place highly. SpeCial, on the other hand, is a Mexican player known for his fast-paced, aggressive and highly technical plays. He performed well throughout the tournament, but seemed unable to crack the sheer consistency and confidence of soO’s plays in the semifinals, going down 3-0 to the Korean. 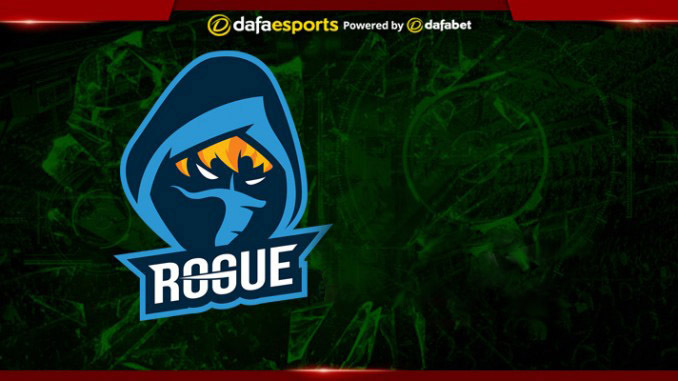 This tournament has established Rogue as perhaps the most dominant player in the StarCraft scene. He has been on a meteoric rise throughout the year, and many had him down as one of the favourites to win the competition following his strong performances in 2017. Many StarCraft fans were upset by soO taking 2nd place yet again, but it seems that going forward, all eyes will now be on Rogue.